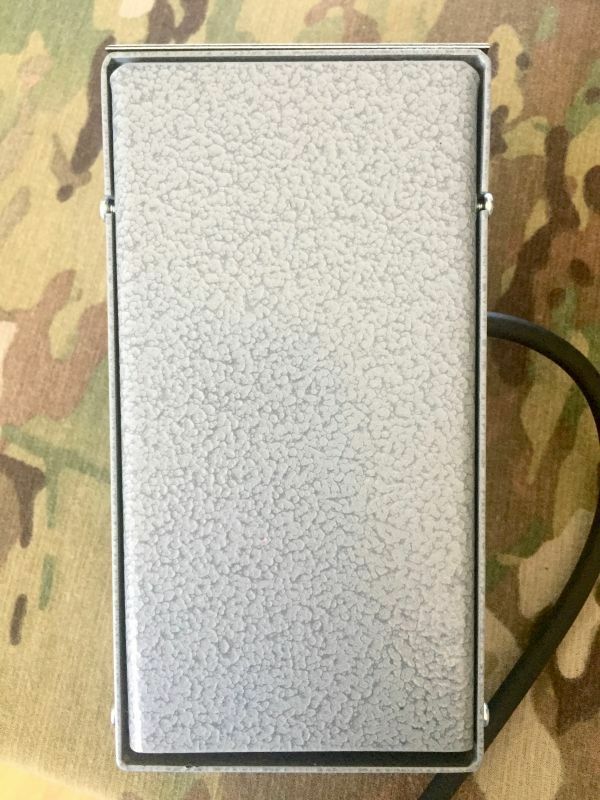 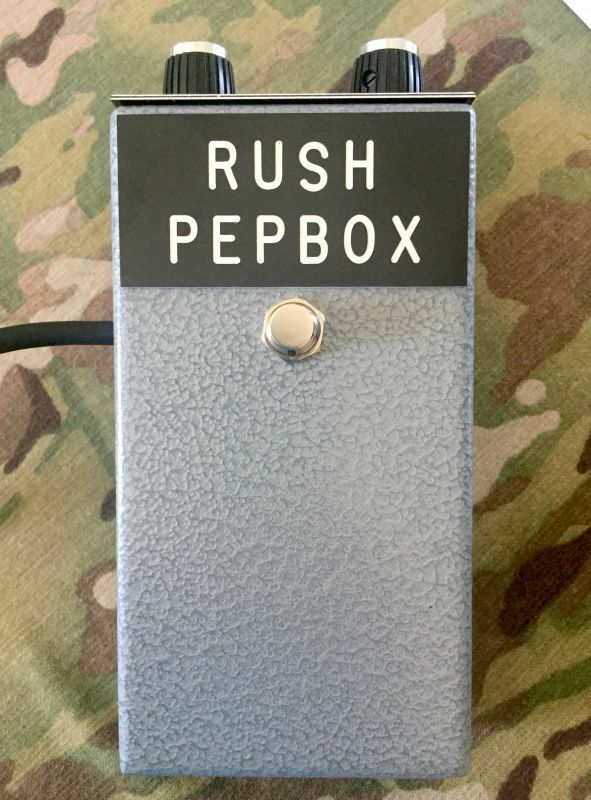 Thanks to Pepe and Lucy at Rushamps for choosing us to sell this amazing Fuzz! 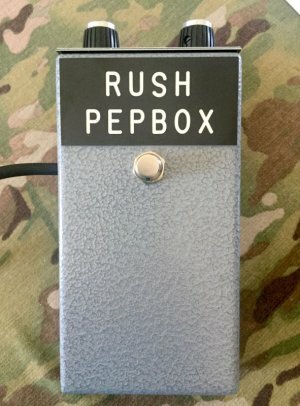 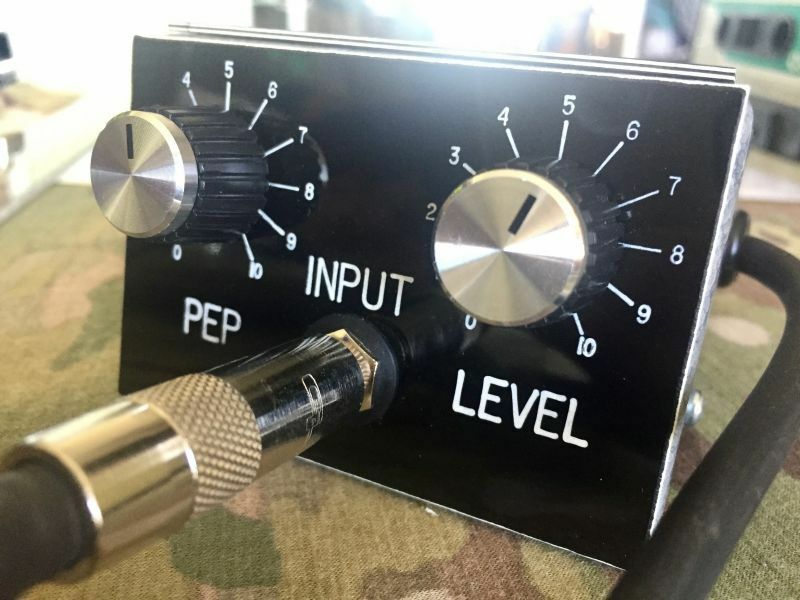 We would like to introduce you to the only authentic and authorized reissue of the legendary RUSH PEPBOX, one of the first wave of guitar effects pedals with the new "Fuzz" sound, designed and built in London in 1966 by the creator "Pepe Rush", owner of the Registered Trademark "RUSH PEPBOX". 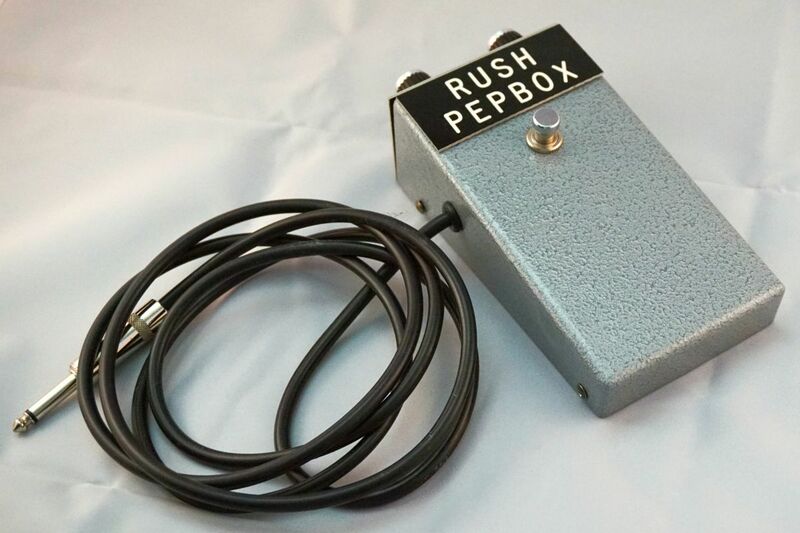 The RUSH PEPBOX was used by a number of leading groups in the 60’s including The Beatles (who used one at Abbey Road during the recording of Revolver) The Shadows, The Animals and others. 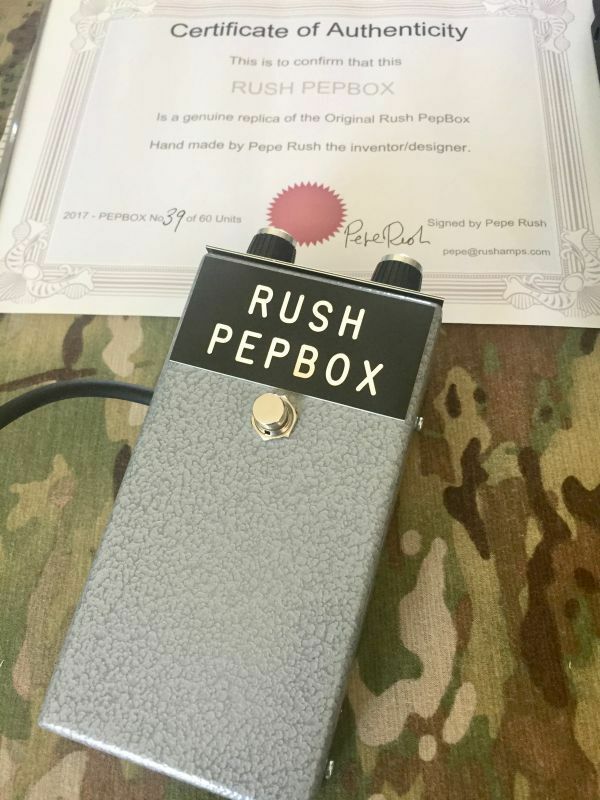 It comes with a Certificate of Authenticity signed by Pepe Rush himself. 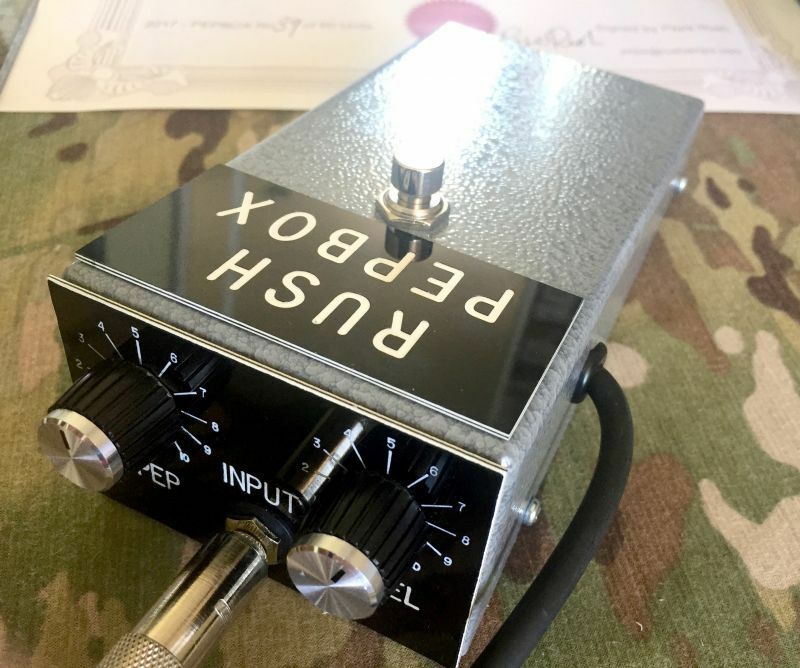 Built on a copy of the original printed circuit board using rare NOS (new old stock) germanium transistors, some of which are over 40 years old, to capture the unique original sound, and housed in a faithful recreation of the original wedge shaped welded steel enclosure with engraved panels, using a 9v battery, we have gone to extraordinary lengths to ensure that this reissue is as close to the originals as possible, and each unit is passed by the designer.